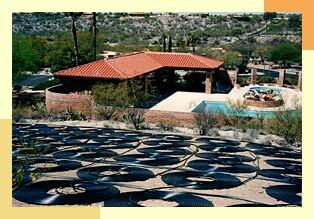 Solar pool heating is the most cost effective way to go solar. As a free source of energy, solar pool heating systems are highly efficient, virtually no cost and environmentally friendly. Swimming pools provide many benefits - relaxation, recreation, exercise and physical therapy. Your pool is an investment, a solar pool heater can not only save you money and extend your swimming season, but it turns your pool into an asset that you can use and enjoy more frequently. Dive into warm water using the power of the sun. The uniquely designed SolarSpiral™ pool and spa heating system extends your swimming season allowing you to enjoy your pool longer in the spring and summer months. During winter months a solar heater can effectively double the unheated swim season, and when used as a pre-heater can reduce the amount of gas needed to heat a pool for year-round swimming by as much a 40-60%. The SolarTech™ SolarSpiral™ secret is in its surface. Our revolutionary design channels solar rays into concentric collector tubes, transforming them into energy to warm your pool cost free and pollution free. The simplicity of the SolarTech™ SolarSpiral™ system means low installation charges, or; if you prefer, an easy do-it-yourself project. No pool is too big and no spa is too small, the SolarTech system can go just about anywhere. 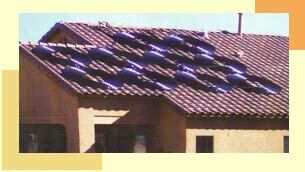 This allows the SolarTech system to be installed without the old limits of solar. Our light-weight, freeze resistant, leak-proof solar collectors can be installed on patio covers, flat or tile roofs, even on the ground. And it's a home improvement that adds to the value of your home. 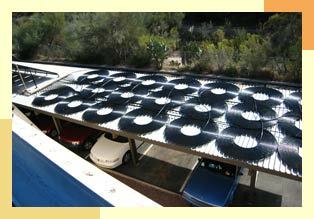 Water from the pool is diverted through the solar collectors where the water is heated and returned to the pool. Most systems can be plumbed through the existing filtration system; thus, requiring no additional energy to work. The SolarTech system can be used in conjunction with a fossil fuel heater by plumbing the solar in-line before the heater so the solar can pre-heat the water. Automatic controls can be installed to ensure that the pool does not rise above the desired temperature, and that the water does not circulate through the solar collector when there is no heat available (after dark or on cloudy days) thereby avoiding cooling the pool down. 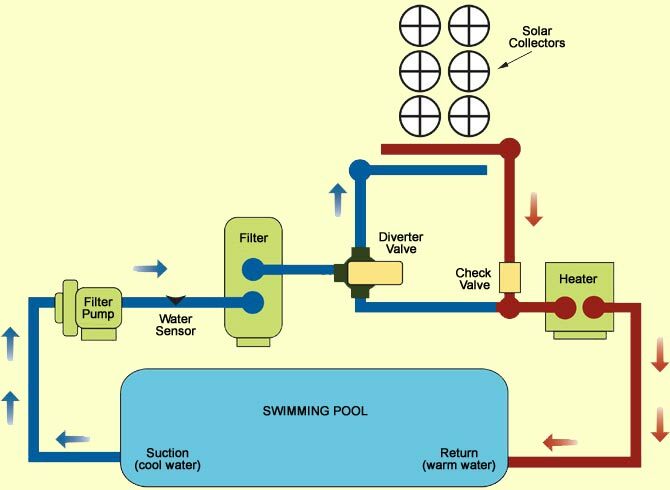 How Efficiently Will Solar Heat My Pool? 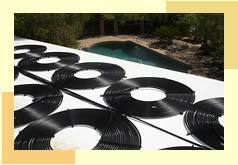 The SolarTech solar pool heating system is the ONLY coil rated by the solar rating and certification corporation.